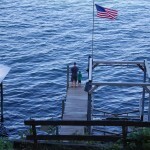 A few miles north of the village of Watkins Glen on the western shore of Seneca Lake is a large and striking structure faces the lake from the side of a hill that is bisected by Route 14. Although it mostly resembles a French chateau in design, the building is a fusion of Old World architectural styles that give it an imposing, yet inviting aura. 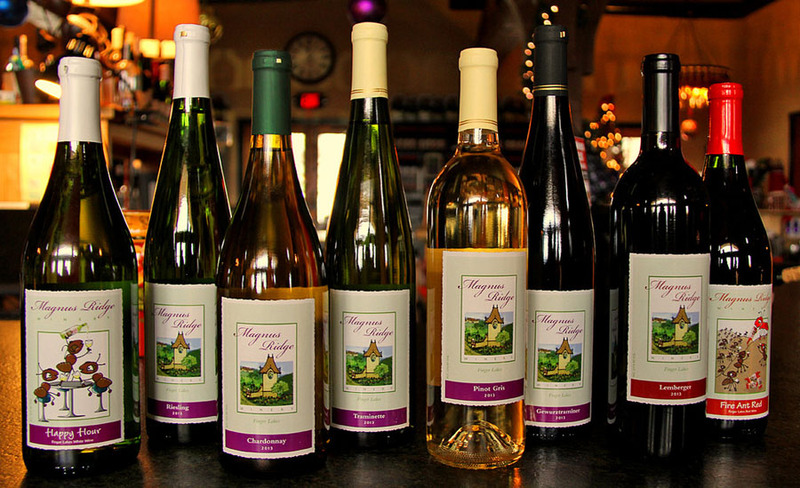 Its name, Magnus Ridge Winery, pays homage to its size as well as its location. The winery and the nearby vineyards represent the realization of a life-long dream for Sandy and Matt Downey who built and now operate Magnus Ridge. For the Downeys, the journey to becoming winery owners began with an amateur winemaking club that the couple joined in the early 1990s. Although it was not formally sanctioned by Ms. Downey’s employer, the group consisted of work colleagues who shared a passion for winemaking. “Making wine with the group provided a great opportunity to learn from each other and to develop your own style” she said. “And with ten to fifteen people who were using the same grapes to make different styles of wine, it was like have ten to fifteen of your own vintages to experiment with” added Mr. Downey. “In 1992, we started by making fifteen gallons” explained Mr. Downey. 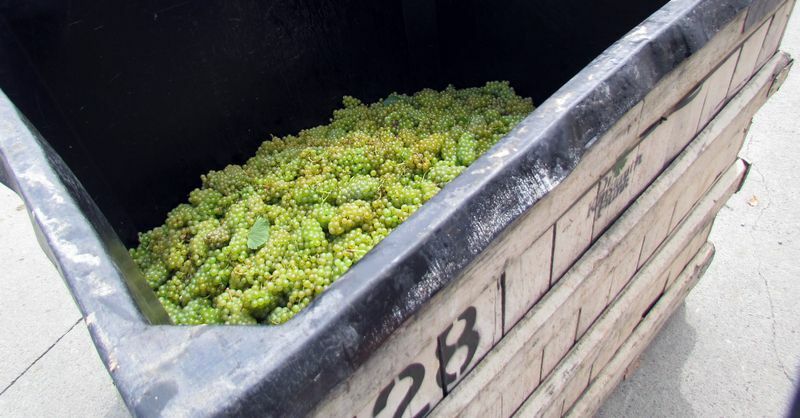 “But fifteen soon turned into twenty to thirty, which then turned into forty to fifty.” So after a decade of honing their winemaking skills through the club, the Downey’s decided that it was time to try their hand at winemaking on a larger scale. 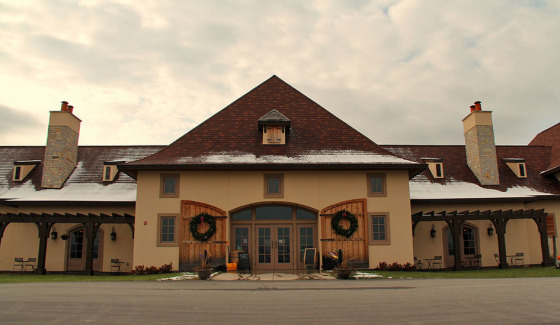 During the time between the first planting and that first vintage, the Downey’s sharpened their viticulture skills by participating in a vine rental program at Cayuga Ridge Estate Winery in Ovid, NY. 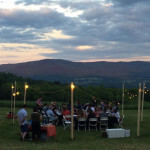 Through the program, they learned about various aspects of vineyard development and maintenance through workshops and hands-on experience that the program afforded. At some point during the experience, the notion of opening a commercial winery began to take root. “You calculate what ten vines make, then you multiply by the number of your vines, and you realize that you’re kind of in business already” explained Mr. Downey. The couple continued to expand their vineyard with additional plantings each year and by 2009 began work in earnest on designing the tasting room and winery that would become Magnus Ridge. 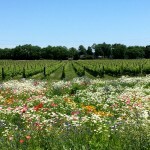 By the fall of 2010, plans for the winery had been finalized, and the groundbreaking took place in October of that year. The Downeys worked with Ramsgard Architectual Design of Skaneateles, NY to create a French Chateau-inspired design for the tasting room and associated café. The plan included a large, open-air porch and park-like patio area in the rear of the building that overlooks scenic two ponds. The interior of the building features an expansive main tasting area that is flanked by twin tasting rooms that resemble rustic wine cellars and are used for larger parties. 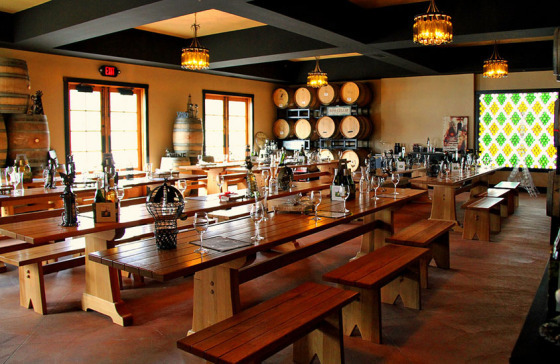 In the back of the building is an even larger tasting room that was designed to accommodate bus-sized groups. Despite the delays that are typical to many large construction projects, the tasting room building and café opened in the summer of 2011. For the Downey’s, that was just the beginning “we opened in July 2011 and it’s all a blur from there. Business just keeps getting more every year. This year is the best year ever — “It’s been a great year” commented Ms. Downey. 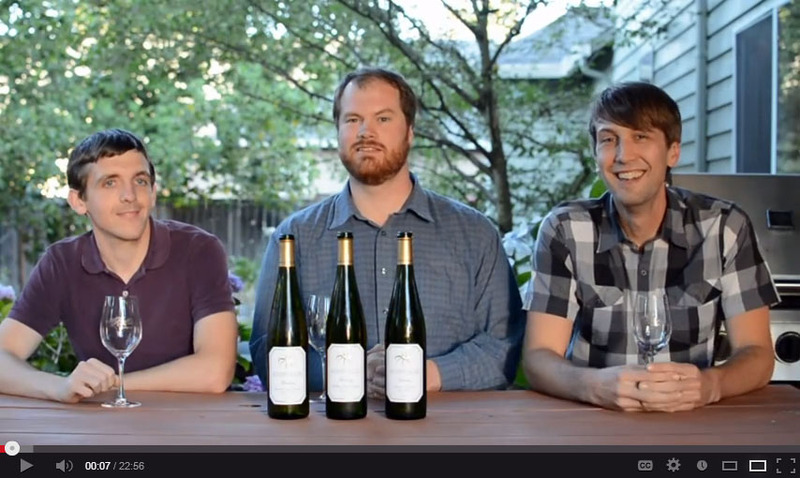 For the Downey’s, running a winery is also a family affair. Since the couple first acquired the property in 2002, son Alexander and daughter Jenna have been involved with the creation of Magnus Ridge. “When we first bought the property, we came here almost every weekend” recalls Ms. Downey. “Alex was six and Jenna was two. They came with us when we worked on clearing the property. Eventually we had enough land cleared that we could come down and camp. We would work one day and stay the night, then work the next day. We came down for vacations and many weekends” she recalled. 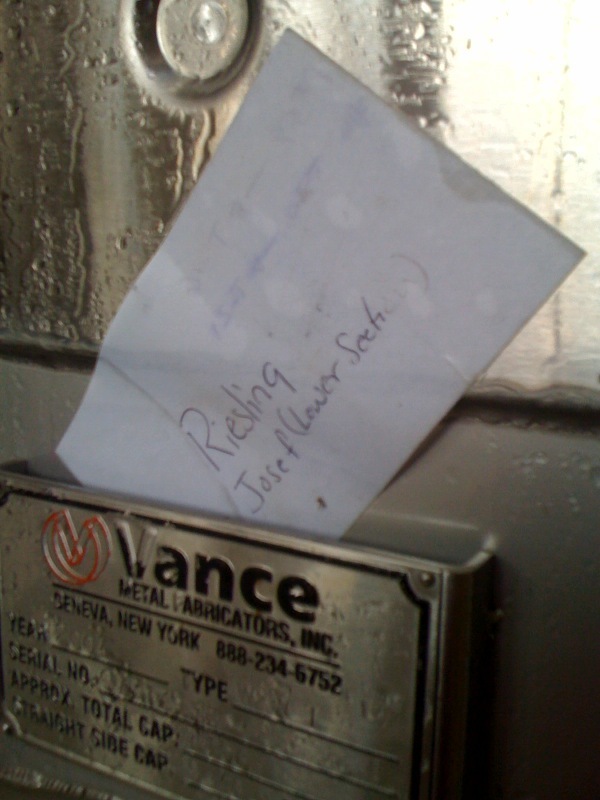 Today, Alexander helps out at the winery when he is not attending classes at nearby Cornell University. When asked about his favorite job at the winery, he quickly mentions that he enjoys working in the tasting room most of all: “You get to meet so many interesting people from all over the country and all over the world” he explains. “When you talk to them, you get to share your story and your wines, and it really creates an connection where you learn about them and they learn about you.” For daughter Jenna, a high school student, working at the winery can entail a number of jobs, although working in the Waterlillies Café is among her favorites. 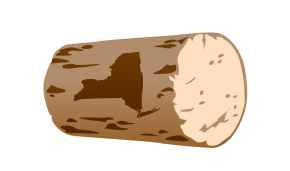 Both the nearby Cornell University and the Cornell Cooperative Extension have been valuable resources in the establishment and growth of Magnus Ridge. 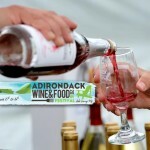 According to Mr. Downey, “There are a lot of people and organizations that help people learn how to run a winery. Cornell Cooperative Extension really helped us. 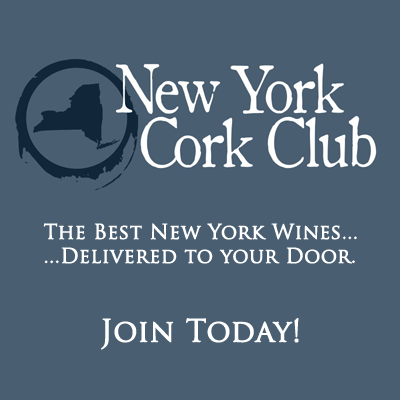 A winery like ours can take our wines there and get them analyzed which has been a great help for us.” He commented further that “Cornell had put out a lot of publications such as a draft winery business plan. They also put out a brochure on all of the forms that had to be filled out to get all of the required TTP and New York state approvals which was really helpful to us.” He added “From an agricultural standpoint, Cornell provides information on grape varieties that grow well in the Finger Lakes, they do research on integrated pest management, they provide degree day reporting and a lot more. Every step of the way they have something. If you need it, they have it.” Ms. Downey also added that they have received invaluable help from the New York Wine and Grape Foundation as well. For the future, the Downey’s have their sights set on establishing Magnus Ridge as a popular wine destination of the Finger Lakes. “We want to be more of a destination than a quick stop. When customers come in we want them to stay for a while” explained Ms. Downey. A primary component of the couple’s strategy for achieving that goal is to create a memorable experience for each customer. 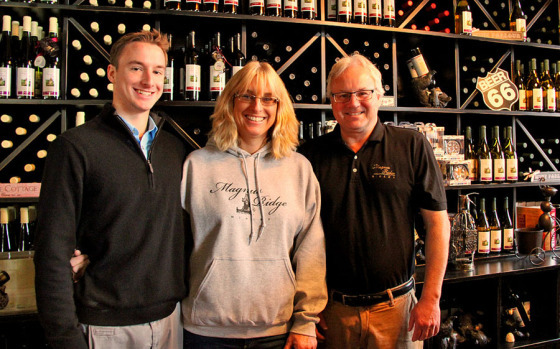 The Downey’s believe that the association between wine and food is something that helps to enhance the Magnus Ridge experience, so they typically offer food to complement the wines offered at their tasting rooms. Often their wines are paired with a local cheese. But occasionally customers will find that chocolate or even pasta is offered as well. Only time will tell whether the Downey’s will be successful in meeting all of their goals for Magnus Ridge. But if hard work, commitment, and great help from family and neighbors have anything to do with it, there is a good chance that they will.